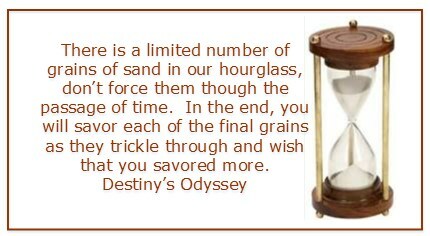 Life is a journey, and Destiny Odyssey™ is about creating your destiny for that journey. The odyssey begins with understanding oneself then determining what you want to achieve in life and the person you want to become. After thoughtful reflection, you craft a personal mission statement as well as a vision statement that reveals who you are and who you want to be. The mission statement is a brief statement as to your purpose in life. A vision statement is your narrative description of where you see yourself in the future; who you will become and what you will achieve. After determining your purpose and direction, you assess and measure your current skills, abilities, and competencies to help determine what you may need to develop. You then design a strategic plan that includes habits you wish to establish and goals you want to achieve. You then systematically implement the plan periodically evaluating your results. The odyssey is divided to eight segments. 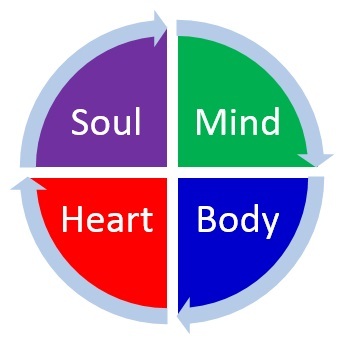 Each segment is designed to assist you on your journey from self discovery to personal fulfillment. Self Discovery is the process of gaining a deep understanding of our own self, character, needs, values, and purpose in life. It also allows an individual to be more aware of his or her interests, hopes, dreams, and potential. A Mission Statement is an individual statement that declares your purpose in life. It is like a personal credo or philosophy. It is typically a single sentence or a brief paragraph that incorporates who you want to be, what your life is about, and the values or principles upon which your life is based. A Vision Statement is about how you picture your future to be and about the person you want to be become. Unlike a mission statement that is a personal credo or philosophy, a vision statement is a depiction of where you see yourself in the future. A Mission is akin to the direction you plan to travel and the road you plan to take, while a vision is where you see yourself eventually ending up as well as what you will experience along the journey. Some people will describe his or her vision in great detail, highlighting where they will be professionally, financially, spiritually, and physically. Other people will simply describe one main aspect of his or her life such as career or family. Self-assessment is the process of gathering information about ones own aptitude, skills, competencies, and talents and critically reviewing the quality of ones performance and abilities. Self-assessment allows us to recognize our potential and what we have to do to achieve that potential. Through the self-assessment process, we recognize our strengths and acknowledge our weaknesses to open ourselves to addressing them to make us a better person. 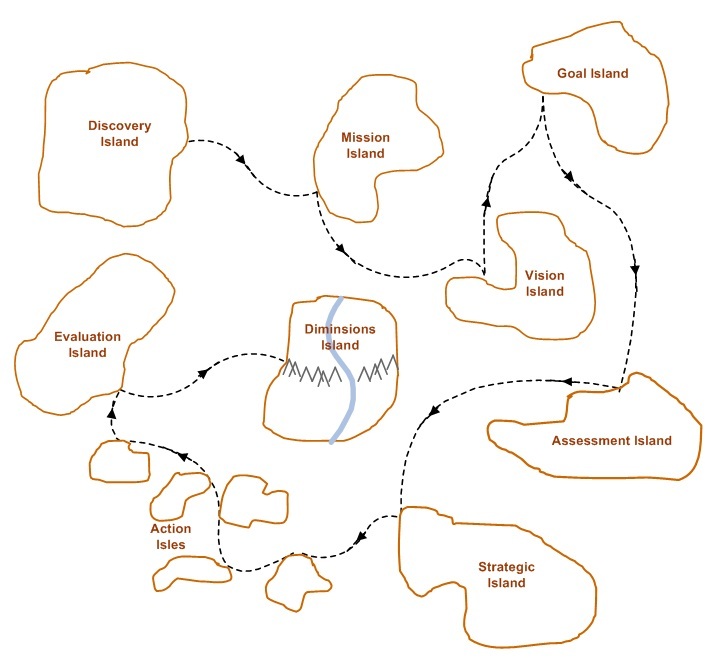 A personal Strategic Development Plan is essentially turning your Vision Statement into an action plan. Our Strategic Development Plan is a systematic approach to achieving your goals while building your personal effectiveness. It involves setting tangible goals and crafting a structured plan for reaching those goals. In addition to goal setting, our strategic development process involves crafting a plan for enhancing skills and competencies as well as creating positive habits in your daily life. The strategic plan will also include elements of mental conditioning to help build self-esteem, self-confidence, and other positive mental attitudes. The key to peak performance and maximum achievement is believing in yourself and taking an action step toward the attainment of at least one goal every day. Evaluation is the process of reviewing your actual results and comparing them against the strategic plans. Its goal is to determine what needs to be modified in order to achieve the goals that were set in the strategic plan.